If someone says Oregano, it's likely that you will think in terms of cuisine. You would be right as most people do think of Oregano is sauces and so forth. However, there are actual medicinal properties to Oregano as well. Oregano makes a luscious cup of savory tea that works well for gas, indigestion, bloating, coughs, urinary problems, bronchial problems, headaches, and swollen glands and to induce and regulate a woman's menstrual cycle. Others swear that is can cure fevers, diarrhea, vomiting, and jaundice. 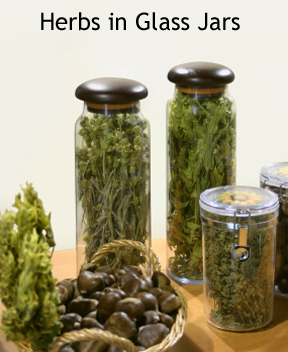 In the capsule form, the leaves are dried and then crushed and placed into the empty capsule shell. Another use of the dried leaves - crush them and add just enough water to create a paste like substance and use it for a cream to apply for arthritis, itchy skin, sore muscles, and swelling. For a relaxing and soothing bath use Oregano leaves in the bath water. Finally, some people make Oregano oil and claim it helps rid toothaches. Oregano is commonly mistaken for Marjoram as the plants look very similar. Outside of the kitchen Marjoram and Oregano are best friends and do a lot together. The pair has quite plentiful properties in the areas of antioxidants and antibacterial. Together they are not only a great combination for flavoring food but also for preserving it too. Because both of their oils are perfumery they are placed in many different soaps and lotions. They are also used in combination for many potpourris and home d�cor. Asafoetida Asafoetida has been also referred to as the "Food of the Gods." The main part..
Belladonna Belladonna is not an herb that you are going to want to stock your pantry..
Ginkgo Biloba Ginkgo is one of the oldest tree species that are alive and the leaves are one..